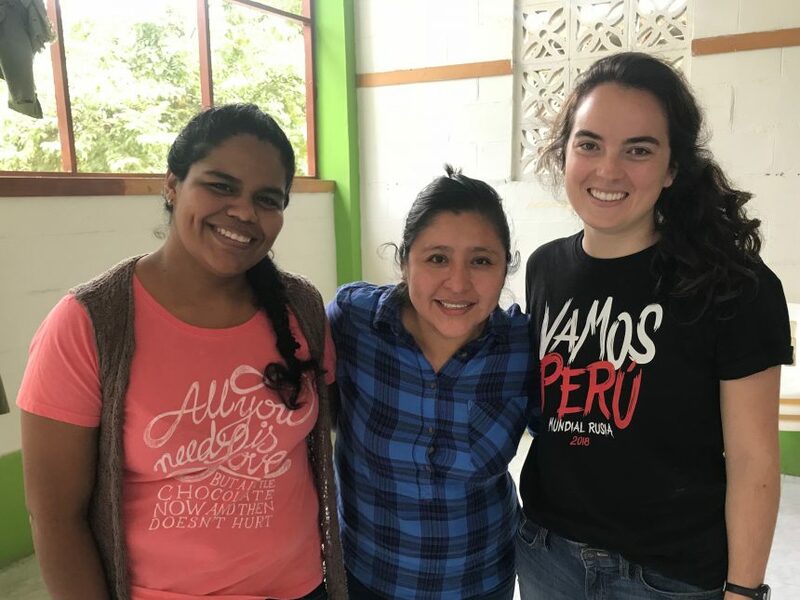 At the beginning of our year in Peru, my community and I listened to Father Greg Boyle, a priest who serves the gang community in Los Angeles, talk about what service means. He speaks of the call to delight in the other and states that “it’s a delighting that enters into full kinship with each other.” I have held this quote close to my heart this year as I’ve experienced this joy and delight in the company of others. The calling to delight has helped me see each interaction as an opportunity to connect with others—something that goes beyond culture and language. Being immersed in a foreign culture and different language can make it difficult to connect at first, where it seems there are more differences than commonalities. My first month in Peru I lived with a wonderful host family. As I as adjusted to the culture and language, I, at times, felt like I only understood about 10% of what was being said. Even with the language challenges, each day provided me with an opportunity to delight in the presence of those around me. My 4-year-old host brother would wake up every morning and greet me with a giant smile and huge hug, something that does not need translation. This joy-filled greeting each morning helped me feel more at home in such an unfamiliar place. The first two months of work, there was a two-year-old, Josue, living at the pastoral center while he recovered from an operation. At first, Josue was shy and withdrawn, only wanting the attention of his mom. With a simple game of catch every day, he got more confident and visited our office constantly. Despite only talking a little bit, Josue and I were able to share a mutual joy in a game, an interaction that made each day a good one. Last month, a medical campaign from the United States was here in Chulucanas. I had the amazing opportunity to serve as an interpreter—not the patient, not the doctor. Acting as the interpreter gave me a unique perspective in enjoying the company of others. I experienced firsthand the way the doctors joyously greeted each patient, and the hugs and big smiles the patient gave in return. Facilitating the communication between doctor and patient was a joyous opportunity to foster a human connection that filled the room. The call to delight is not always easy, but I have learned so much from the interactions I have had and the friendships I’ve developed over my 6 months in Peru. My Spanish skills have significantly improved, but more importantly, my time here has taught me to choose joy in everyday interactions, even with something as small as a smile.